Skin lightening is a controversial topic in some circles but, in general, skin lightening techniques are used to even out skin tones marred by acne scars, age spots, freckles, and similar skin blemishes. There are natural things you can use to lighten your skin including lemon juice, milk, and aloe vera gel to name a few, but there are also commercial products and professional procedures available. Here you’ll find some of the commercial and medical techniques for skin lightening in order to see which one can work best for you. Bleaching creams, whiteners, fading creams, and skin brighteners are all examples of skin lightening creams. They work by decreasing the melanin in your body. This is what is responsible for darkening your skin. The creams are generally used for treating things like age spots, scars, freckles, or skin discoloration caused by hormonal changes or other disorders. When people hear skin bleaching, it sounds harsh and dangerous. While it does have risks, it’s actually a common treatment for skin discoloration. Creams and lotions are available both by prescription and can also be found over the counter in some drug stores. They’re generally meant to be used as a spot treatment although some people misuse it by applying it to their entire body in order to lighten their general complexion. To use these creams, simply apply them to the desired area a set number of times a day (this depends on the product and its instructions). Skin lightening creams most commonly used are safe in the right doses. Take a look at our best skin whitening cream guide. However, some of these commercial creams contain active ingredients like mercury. This is a toxic ingredient that can lead to health problems when used in excess. For example, it can lead to psychiatric issues, kidney problems, and neurological disorders. If you’re pregnant, these problems can be magnified and also transferred to your unborn child. Luckily, the use of mercury in these creams was banned in most countries. However, there are creams still on the market that are made outside of the UK that use the ingredient. If you’re concerned about this ingredient and are buying products on the internet that are possibly coming from overseas, look for mercury listed under other names like mercurio, mercuric, mercurous, and calomel. There is another active ingredient in a lot of the available creams that is controversial: hydroquinone. This is a chemical compound that is best compared to phenol. 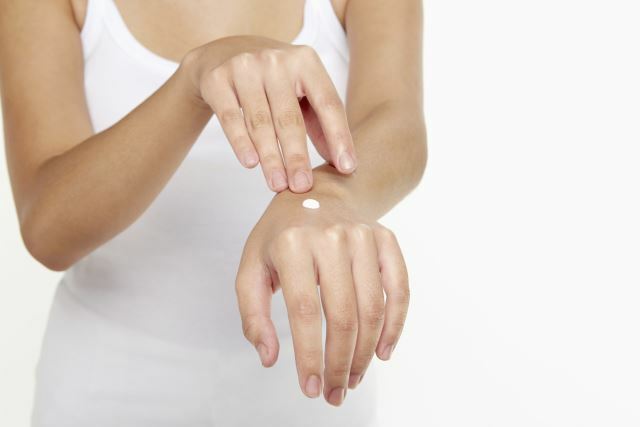 While it’s considered safe in small doses (over-the-counter products contain 2 percent hydroquinone while prescription creams have no more than 4 percent), it can cause irritation especially for those with sensitive skin. This irritation can be magnified with sun exposure since the ingredient is used to decrease the melanin in your body. This leaves you vulnerable to the sun’s rays and can cause you to burn easily. That can lead to more problems like sun spots and skin cancer. It’s still used but should be used with caution and only in the recommended fashion. This is why it’s important to talk to your doctor or at least consult a dermatologist before using any skin lightening creams on your own. Always read the labels of over-the-counter creams and do your own research before using anything, too. If you talk to a doctor about skin lightening treatment options, they may advise you to stay away from creams and lotions due to the risk factors and the uncertainty of the ingredients. Luckily, there are other options. Hydroquinone is suitable for use on small areas such as dark spots or hyperpigmentation. But these creams should have a lower content of hydroquinone (2% or less). For those who wish to treat hyperpigmentation at home, it is the most effective solution, accounts to many dermatologists. But it is important to follow the instructions carefully and not to abuse the product. If you have small stubborn dark areas of skin then this is the best weapon against it. But it should only be used for small areas as it can cause irritation in the skin. For larger areas of skin, a natural skin lightening cream is recommended. Ingredients such as Retinol, vitamin C or kojic acid can naturally and gradually brighten the tone of skin. It’s extremely important to be patient. Many people who have suffered side effects are the one that cannot wait to whiten their skin tone and use harsh bleaching products. Don’t be one of these people! Give the products time to do their work and also remember to use sunscreen and moisturise your skin.